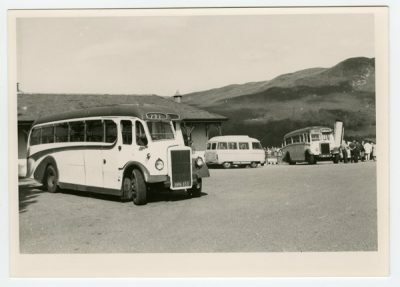 AEC half cab coach ( no identification detail ) , Leyland coach to the right, Reg No LYS 843 with Private on name board. 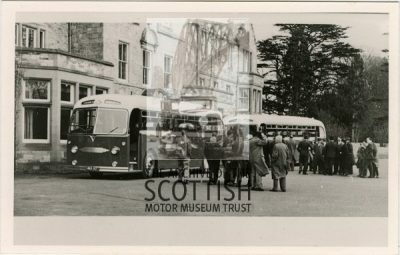 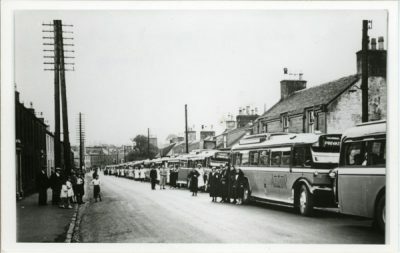 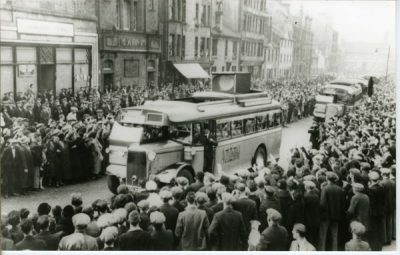 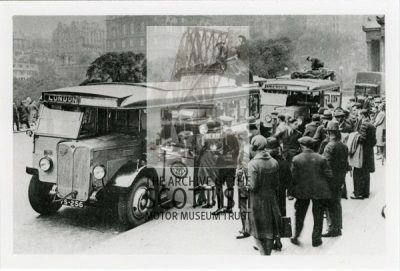 Un identified coach to rear of Leyland and Glasgow Corporation double decker in background. 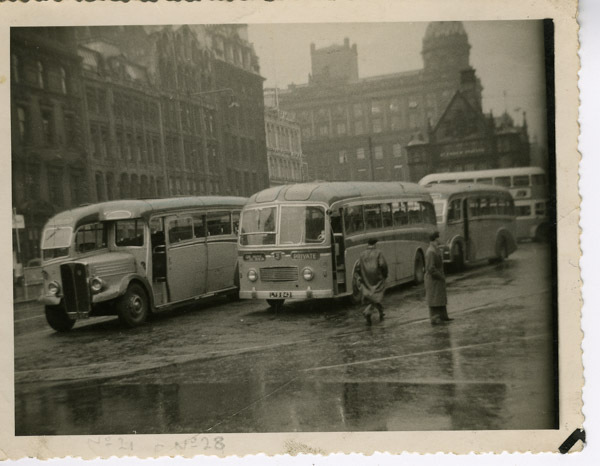 ( probably orange and green livery ) Wet day in St Enochs Square in Glasgow looking towards Subway offices and Argyle street in the distance.